Make 1 call to Wood Furnaces of Ohio for pricing. We will not be undersold! * Price listed is the Manufacturer’s Suggested Retail Price of the furnace and excludes freight, taxes, installation, options and other charges. Pricing may vary based on a variety of factors and is subject to correction and change without notice. Please contact Wood Furnaces of Ohio LLC for complete pricing. Dealer pricing may vary. Product availability is subject to change without notice. Prices listed in US dollars. 1 – Designed to Perform – With innovative features like a patented air charge tube that adds air in all the right places while keeping the coal bed from falling through, to the patent-pending vertical heat exchanger that optimizes heat transfer, the Classic Edge is the perfect combination of performance and value. 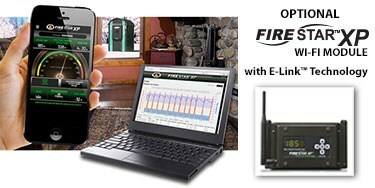 2 – Easy to Operate – With Central Boiler’s FireStar II electronic controller optimizing the gasification process, the Classic Edge is one of the easiest ways to heat with wood. 3 – Higher Efficiency – Fire burns down through the Fusion Combustor where extremely high temperatures aid in complete combustion, resulting in high efficiency and extremely low emissions. 4 – Less Maintenance – Vertical heat exchanger optimizes heat transfer and requires little maintenance. Heat exchanger includes integrated cleaning system and, if needed, a removable access plate, a Classic Edge exclusive. 5 – Burns Less Wood – A hallmark of Central Boiler furnaces for over 30 years, spray-on urethane foam is the ultimate airtight, waterproof insulation that locks the heat in to reduce wood usage, even at the coldest temperatures. 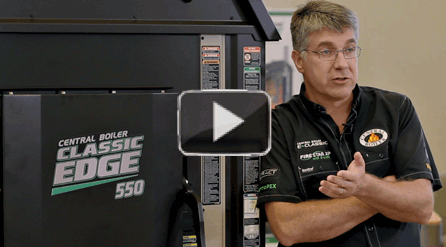 6 – Certified – The Classic Edge 350, 550 and 750 are U.S. EPA Certified.